A motorcyclist was killed after becoming entangled in a crash involving as many as six vehicles along northbound Highway 101 in Redwood City Monday morning, according to the California Highway Patrol. A motorcyclist was killed after apparently triggering a multi-vehicle crash along northbound Highway 101 in Redwood City Monday morning, according to the California Highway Patrol. 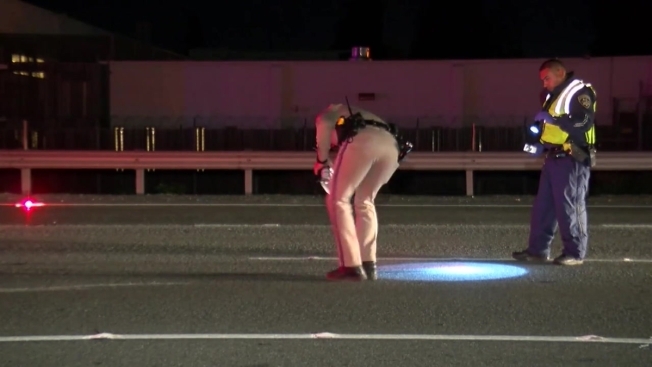 Based on the investigation, it appears as though the motorcyclist was splitting lanes and riding at a high rate of speed just before 2 a.m. south of the Whipple Avenue exit when he slammed into the back of a van, triggering the multi-vehicle wreck, according to the CHP. Arriving emergency responders tried to save the motorcyclist, but he was pronounced dead at the scene, according to the CHP. The motorcyclist was identified as a Hayward man in his late 30s. The CHP indicated that alcohol and/or drugs may have played a role in the collision. The crash temporarily closed all lanes of northbound traffic, according to the CHP. Two lanes reopened less than an hour after being closed, and all northbound lanes reopened around 5:20 a.m. Anyone with information about the crash is asked to contact the CHP at 650-369-6261.